Here is a once in a life opportunity for the collectors of musical instruments to own an extraordinary piece of history. Well known auction house Sotheby along with Ingles & Hayday, a musical instrument auction house will be offering a rare Stradivarius viola later this year. 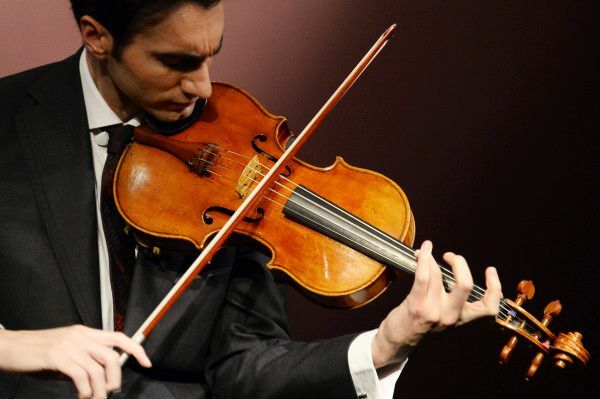 Valued at $45 million, this extremely rare and exquisitely preserved viola is expected to become the most expensive musical instrument ever sold at an auction. Created by Italian luthier and crafter Antonio Stradivari in 1719, the 300 year-old instrument will be offered via sealed bid by Sotheby’s. Named after its previous owner Baron Macdonald who purchased it in around 1820, the ‘Macdonald’ Viola has not been restored and is said to be in perfect condition. The last time when a Stradivarius viola was on the market was about 50 years ago in 1964. One of only 10 Stradivarius violas made by Antonio during his lifetime, the ‘Macdonald’ Viola is surely an ultimate prize for musical instrument collectors. 1721 “Lady Blunt” Stradivarius violin is the current record holder for the most expensive instrument sale when it was sold for $15.9 million by the Nippon Music Foundation in June 2011. Watch the video below where star violist David Aaron Carpenter is playing this extraordinary instrument and talking about its remarkable history and legacy.